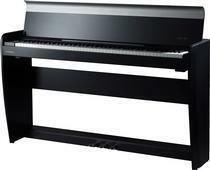 Special Introductory Prices on all Dexibell Digital Pianos! Buy any Model until August 31 and Get More than 10% OFF from the Normal Price! Online SPECIAL OFFER price is also valid in our retail store in Nicosia! Memory: 20 +, user unlimited on USB mem. Amplification: 35 W x 2, DBass Enhancer, Dynamic EQ, 3 Band Comp.